I finally was able to knock out that flight I passed on a few weeks back after a little vacation, and a whole bunch of crappy weather, and all I can say is that I am glad it is over. 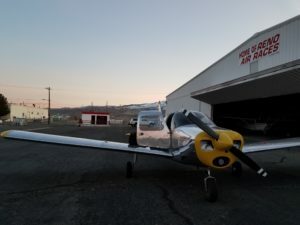 I should clarify that any time spent flying is better than time spent in just about any other way, but I realized after this flight that flying a small, civilian aircraft at night is just not a whole lot of fun. In leaving Stead and heading down to Reno it really wasn’t all that different at first because we were over city the entire time so most everything is lit up pretty well. That being said, it is definitely a different sight picture at night than it is during the day. I found myself flaring a little to high and having to hold it off much longer than I would have liked. This was likely a combination of not having flown for a little while, and the different sight picture I was experiencing at night for the first time. We proceeded to do three full stop taxi backs at Reno because for some reason the FAA wants all of your night stuff to be full stop landings. I personally don’t understand the logic in this, so if you have any ideas I would love to hear them. The one upside in this case was that it gave me more time talking to ground and switching radios, which is something you can never really practice enough. On the C-130 I just type in numbers so it is good to get practice spinning dials. After leaving Reno we headed East into the I-80 corridor as we very slowly climbed up to a good safe altitude. This may very well have been the first time I have ever climbed up through the mountains at night without having NVGs like I wear at work. To be honest it was pretty unnerving. Despite knowing that I had planned well, and could see the freeway clearly below me and in front of me, it is not fun not being able to see the even the outline of the mountains around you. It didn’t help that there was absolutely no moon either, but I wasn’t delaying this mission any longer just for some moonlight. The half an hour or so it took us to get up to Lovelock (KLOL for those keeping track at home) was relatively uneventful, and once we got to altitude the terrain sloped away to the East and there wasn’t even mountains to worry about. With nothing really between us and the airport, we were able to pick out the beacon pretty quickly, and a few clicks of the mic lit up the runway like a Christmas tree making it even easier to find a few miles south of any other buildings. After a quick survey of the area we went in and executed three more full stop taxi backs, but fortunately the winds were mostly calm so we opted to just switch runways with each landing to save on the taxi time. 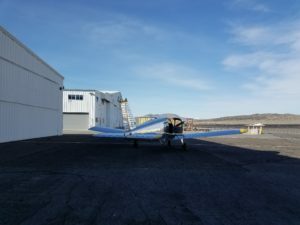 It was definitely a very different experience flying at such a small airport with no lights around it after flying at Reno that is surrounded in lights. I also had the thought in the back of my mind that there is a lake off the end of one of the runways that made the whole thing a little more ominous. After finishing up our landings there we began our trek back to Stead, and since we were running a little behind schedule, we utilized the wonder of ForeFlight to go back home more directly. I have to say that it is just an incredible tool for anyone out there. 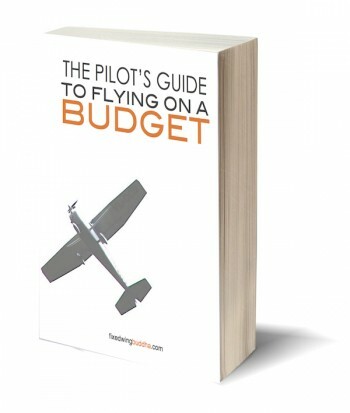 If I had a small plane I would not waste my money on a G1000 or other system, I would just buy an iPad and a ForeFlight subscription, because they honestly offer so much more at probably 5% of the price. The situational awareness that it gives you is just insane. I honestly wish the Air Force had just bought subscriptions to ForeFlight rather than wasting money on developing a different app. If you don’t have it you seriously need to check it out. By this time it was after 2300 local and after a full day of work I was getting pretty tired, but we still had four more landings to knock out. It was definitely a little comforting coming back to my home airport after so long in the unfamiliar dark, and it got me a little excited again to finish the whole thing out. Fortunately, the winds at Stead were also light and we were able to execute a few teardrops in the pattern rather than flying a full standard pattern. It saved a little time which was okay by me and my CFI. It was also a fun challenge to execute something other than a standard pattern and having to adjust in ways that you normally wouldn’t have to. That being said, it is not something you should do if there are other aircraft in the area because it would quickly become a mess. Flying at night in a small civilian plane definitely opened my eyes to the value of having NVGs with the flying I do at work. The amount of situational awareness that they provide is just downright ridiculous. On a well illuminated night it is almost as good as flying during the day. I can’t even imagine doing anything close to what we do without NVGs. This was also a good flight to help me remember that you have a whole massive skill set to learn as a pilot. It isn’t enough to get good at landings during the day on a long and wide runway. You have to land at night, and on shorter and more narrow fields. You should try to get to soft fields and different surface types because all of those things are only going to help you build your bag of tools that one day may save your life. From a less practical side, it is also fun to try new things and go new places. When I was deployed to Afghanistan we took an F-16 pilot for a ride one day and it was the first time he had ever landed on dirt, especially dirt that was probably only 4000′ long or so. For a guy that is used to pristine pavement that is at least 10,000′ long, it was an eye-opening experience. He gained a whole new respect for what we do that day, and I guarantee he became a better pilot with that understanding. So while trying new and different things is often not very comfortable, it is a great way to learn new things, have some fun, and become a better pilot. It is always amazing to me how much of a mental aspect there is in everything that we do in life. We spend so much time talking about skills and abilities, but in the past we pretty much ignored the mental aspects. Fortunately, we are starting to realize how important the mental side is as well. As I went out for my second flight in the Cherokee, I was a little down on myself because I was struggling so much with landing. It is kind of an important part of flying so I think that added to my frustration. For this flight we ran through the maneuvers and then headed over to KRNO for some visual patterns there. It was fun to be at a towered field as all of the other work we had done was at the non-towered Stead Airport. I am grateful for all of the time I have in the C-130 to help with all of the radio aspects of flying. I can see it being a ton harder if I was also having to learn that. After a few patterns I was finally starting to get some relatively smooth landings. Both my CFI and I both realized that the sight picture I was familiar with was in a C-130 where we fly significantly faster and I am also sitting much higher. This was causing me to flare high, float it, and land too firmly. Once we made that connection I forced myself to push through the ground rush and my landings got even better. Coming back over to Stead, my first landing was a little off adjusting back to the shorter runway, but the second landing was my best one yet. I was on speed the whole time, I pulled power on-time, flared nicely, and smoothly touched down. We wisely stopped on a winner landing and put the old girl to bed. We then went back and filled out my information for my student license. Along with my medical I got yesterday, I am finally seeing the reality of becoming a pilot, and I am almost shaking typing those words because I am so excited. It was just amazing to me the difference it made in analyzing what I was doing and how quickly it could be corrected once we diagnosed it. No matter what you are doing, understanding the mental aspects will always make you better. I also wanted to share how cool it has been flying around the Stead airport. My CFI owns his plane with his brother so they are a very small “school”, but they seem to know everyone around the airport. On the radios he is constantly talking to people he knows and talking about their planes and where they are flying. It is really one of the best parts of aviation, the community. On our way out to the practice area, a buddy of his pulled up in his Kit Fox and we flew near each other for a few minutes chatting and just enjoying the wonder of flight. With the snow covered mountains all around us, I just couldn’t imagine how anyone could not absolutely love flying. 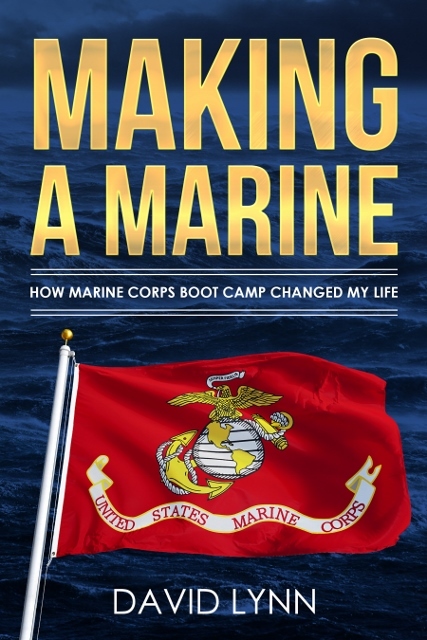 It is the most incredible, empowering experience I have ever had. I think the thing that is getting me the most excited about all of this experience is the community I am finally tapping into. If you haven’t been out to your local airfield recently, get out there and make some friends. As awesome as the planes are, it is the people that truly make aviation special. You may wonder why I gave this post the title I did since it doesn’t seem very aviation related, so I will tell you. That thought was what got me to stop reading tonight and write the long post before this one, that I am sure multiple people stopped reading after they saw it wasn’t just about airplanes, and that’s okay, cause I wanted to share, as well as the post you are reading now. In the book Crushing It! that I mentioned in my other post, there is a story of a T-shirt business that thought they had missed a golden opportunity to grow their brand because their logo had been on the back of the shirts when a bunch of people wore them on a show sponsored by Oprah on her network. Turns out it actually proved to be a huge win as they were able to tell their customers they “had their backs” and it was one of their biggest surges as a company. This got me thinking about my flight that I had today (sweet video from that hopefully coming next week), as well as the same experience I have had on countless other flights over the years. Sometimes you don’t do everything right, and you still get a positive result and success. I have previously written about airdrops and how they work, to include my constant desire to learn from each flight and figure out why I got the result I did. Reading tonight made me realize how often I have screwed up in some, or many, ways and still had a successful drop. It has been easy for me to beat myself up and see my mistakes and just chalk my success up to luck, but sometimes we need to just take the win wherever it came from. By no means am I saying that we as aviators shouldn’t analyze our performance and look for ways to do better, but I am saying we should enjoy the successes we have, even, and maybe especially, if we didn’t necessarily deserve it. I have heard that luck is simply where preparation meets opportunity, and maybe that is true to some extent. We train and study and analyze so that we get thrown a proverbial bone on occasion. We have a great landing on a rough weather day where we struggle to keep the plane stable, or we encounter unexpected favorable winds that allow us to make up for a delay, or we simply have a day where despite Murphy’s best efforts, everything just seems to work out in the end. I wonder how often we throw away a win, or miss an opportunity to enjoy success because we feel like there were too many mistakes getting there. To quote the Beatles (I think), “Life is what happens to you while you’re busy making other plans.” So why not enjoy the positive results that life gives us, no matter how hard it was to get there.